← Can the Knicks really be THIS Bad? 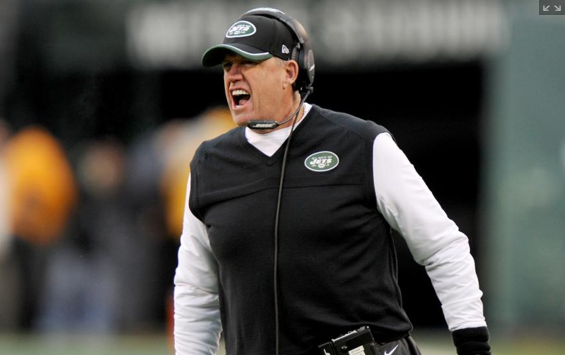 Yesterday Woody Johnson, the owner of the football menagerie known as the New York Jets, cut loose his General manager John Idzik, and his coach Rex Ryan. Idzik didn’t do much after two years on the job and Rex hadn’t really done much since his back to back AFC Title Game appearances in years one and two of his time with the team. This circumstance certainly wasn’t a surprise to anyone who follows the JETS. If you know me at all you know I am a passionate (bordering on maniacal) Jet fan, who has had season tickets since 1977. I’ve followed this team closely since 1967 and I’ve seen all of the ups and downs…highs and lows…the coaching carousel that never seems to stop long enough to contemplate a man’s era. Rex had six years. That was a pretty good run. If the JETS had gone 9-7 this year and snuck into the playoffs I wouldn’t be sitting here right now writing yet another obituary for a coach that just didn’t get it done. He didn’t have to get to he Super Bowl in 2014. I think after last year all he had to do was get to the playoffs. Unfortunately for him and the JETS he didn’t make it. 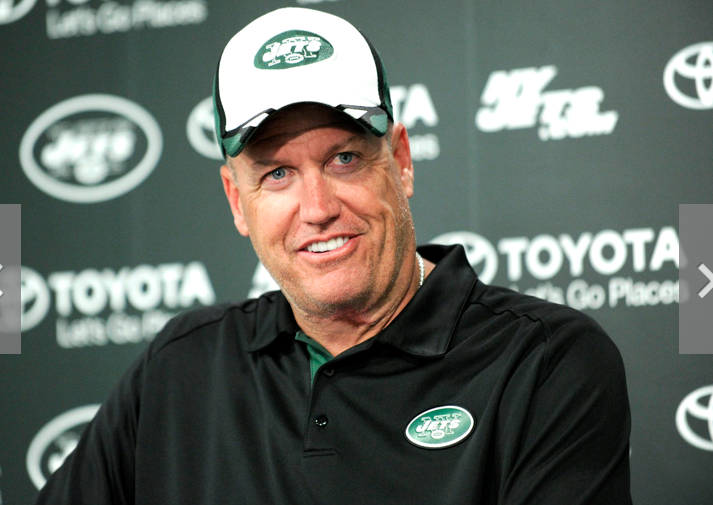 John Idzik’s salary cap maneuvering should have guaranteed Rex would have made it. What with all those millions of dollars of cap space just begging to bring in higher quality players. But Idzik either didn’t understand Ryan’s defensive system, or simply ignored it for whatever reason. Cornerbacks on an island? Remember that? Knock knock…? Hello John? Anybody home? Idzik’s plan this season was like asking Phil Jackson to win championships in Chicago without Scottie or in LA without Shaq. 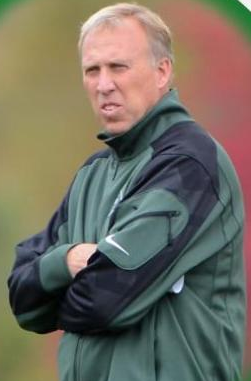 John Idzik made a big boo boo that buried Rex and the Jets and ultimately himself. Idzik made a point of informing us all that the JETS would be primarily built through the draft. OK. That’s a reasonable plan. Unfortunately for John and the JETS of his 12 draft picks this past year, only 2 made the team. He drafted 3 wide receivers…none of them are around now. If the draft is your baby then you need to show some tangible results. NADA Zippo Nothing. On top of that his free agent signings did little to help get Rex where he needed to be. Ivory…good. Decker…good. Dimitri Patterson? Not so good. Even though this year’s offense wasn’t much to write home about, had the JETS had the professional corners they needed to plat Rex’ system, I think they would have been a lot closer to 9-7 than 4-12. Rex Ryan definitely put his stamp on things but in the final analysis he ended up with a career record under .500 as so many of his predecessors did. he was 4-2 in the all important postseason. But he never got them to the promised land…a Super Bowl appearance…close…but no cigar. Parcells took them to one AFC Championship game. Rex did it twice. No small feat for sure but he couldn’t take the JETS to the next level. It certainly wasn’t a lack on his part. Sometimes you need to be lucky and rex didn’t have a bunch of that commodity. Good luck Rex! I’m sure you’ll land squarely on your feet. Your future is full of promise. I hope you do great things…actually I’m pretty sure you will. Just do all of us long suffering Jet fans a favor…and do it in some other division so we don’t have to be reminded of yet another JET shortfall. 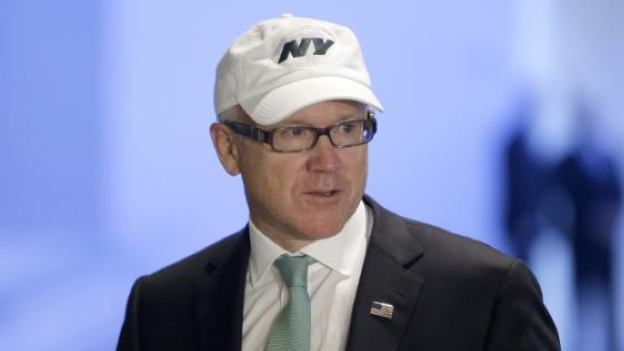 I was pretty impressed with what Woody Johnson said at the press conference. The image of the know nothing owner was dispelled as he got into the specifics of why the JETS were no-shows in 2014. Now he has Charlie Casserly and Ron Wolf as his latest brain trust. These guys know what they are doing. Let’s hope the owner listens…and makes the right decisions. This entry was posted in NFL Football, NY Jets, Sports, Uncategorized and tagged General manager, Head coach, John Idzik, New York Jets, Rex Ryan. Bookmark the permalink. 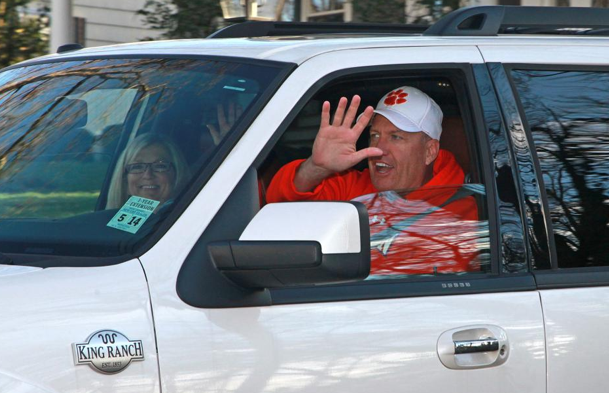 1 Response to Goodbye Rex…and Good Luck!